Today’s Prompt: Quote Unquote. Grab a favorite quote and use it to set you writing. Strangely enough, I'd like to quote one of my favorite great writers and thinkers on the topic of...quoting. "Next to the originator of a good sentence is the first quoter of it." 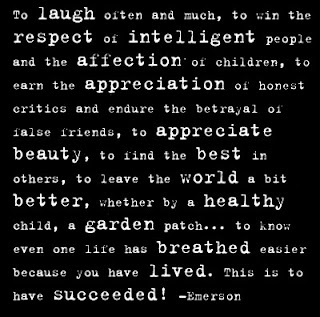 I'm hardly Emerson's first quoter, but when I read something from him, I'm often struck by its simplicity. Its truth. Why do we quote others? What makes these phrases stand out? How do they make our writing more effective? "A man should learn to detect and watch that gleam of light which flashes across his mind from within, more than the lustre of the firmament of bards and sages. Yet he dismisses without notice his thought, because it is his. In every work of genius we recognize our own rejected thoughts: they come back to us with a certain alienated majesty." We quote because of this recognition. We quote because what someone else said validates what we believe about the world around us. And when we hear it called out beautifully, we stop and consider it again. We become less fearful to claim those rejected thoughts. "Some men's words I remember so well that I must often use them to express my thought. Yes, because I perceive that we have heard the same truth, but they have heard it better." And yes, we quote because someone, somewhere, far from the space and time we inhabit, said it better. Before I first read these phrases I've shared here, I don't believe I'd ever thought about the fact that, when we quote, we are admitting to sharing in the thought process of the quote's originator. I think that, before that, I had thought of quotes as some sort of original thesis that my words might try to validate. Or vice versa. Maybe I'm trying to make a point and the quote serves as some kind of ancient authority. 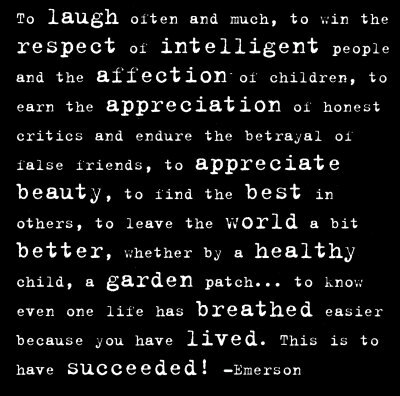 We aren't as bold as Emerson maybe. We don't often say, "I have great thoughts. I deserve to be heard." But the truth is that we all have great thoughts. And the moment when you discover the intersection between what you believe and a way to say it more beautifully, you're united with every writer and thinker in human history. So read, and quote, and write, my friends. Find yourself somewhere on the page where someone else was brave enough to tell your story. Find your rejected thoughts peering back at you in the middle of someone else's sentence. Nestle your soul between those curly quotation marks and make a bed in someone else's metaphor. Don't let it stop you that someone may have said it better. Some of us want to hear what it sounds like when you say it.